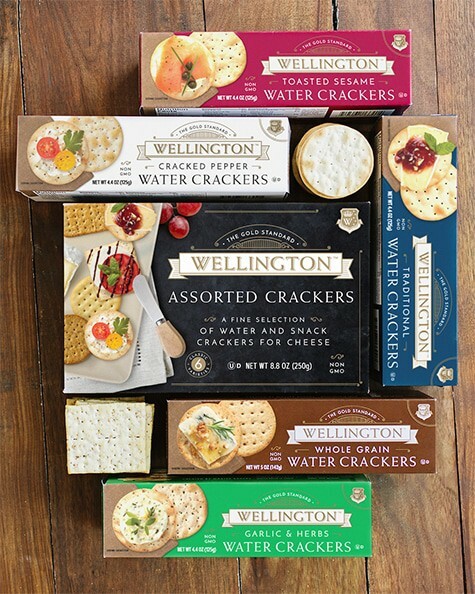 Wellington Water Crackers are created by Master Bakers with a tradition of excellence dating back to the 1800s. This time-honored recipe is produced from a special blend of wheat and baked to meet our Gold Standard. 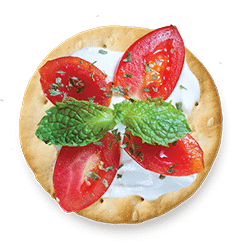 Made from the finest non-GMO ingredients, these crackers are the ultimate complement to your fine cheeses, hors d’oeuvres, pates, and spreads. Treat your friends and family to these tantalizing Wellington Water Cracker creations… suitable for any occasion! 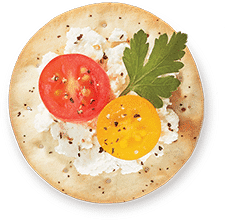 It’s as simple as tangy goat cheese, topped with fresh tomatoes and garnished with parsley and cracked pepper. 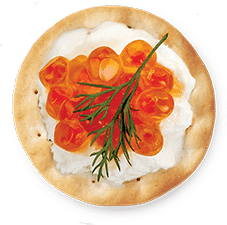 Or an elegant combination of cream cheese topped with smoked salmon, capers and chives. Savor the possibilities!